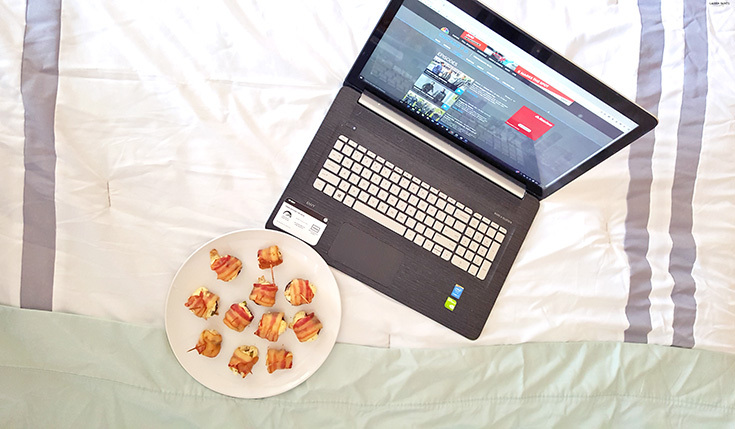 Ever have one of those days when all you want to do is eat some delicious snack food, lounge in bed, and binge watch your favorite show? Well, I felt exactly like that this weekend and while I could've added a TV to our bedroom on Black Friday, I'm not really the type to go all "This is Sparta!" for electronics at big box stores to save a few bucks... and well, it's not really a necessity anymore with NBC TVEverywhere. What's NBC TVEverywhere? 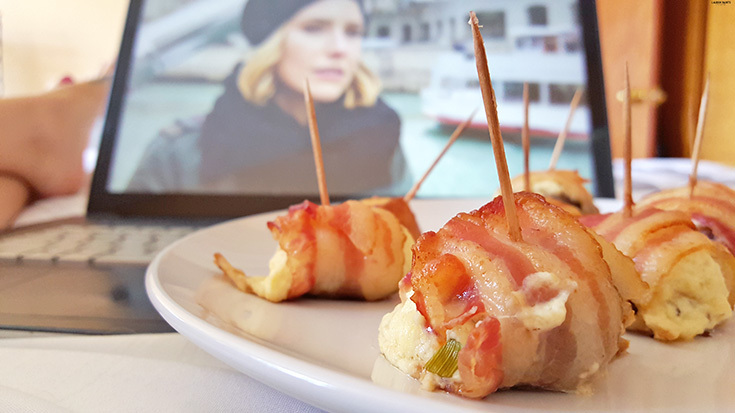 It's tv-on-the-go for those of us who are too busy to catch our favorite shows on cable. 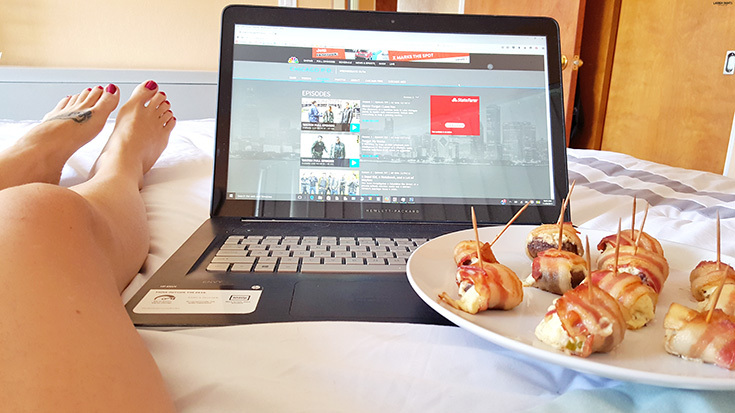 From shows like The Voice to Heroes Reborn, I was able to get my fix on all my favorites from the comfort of my bed with a plate of delicious bacon stuffed mushrooms and a pint of ice cream to snack on... I think this is how "adulting" works, right? 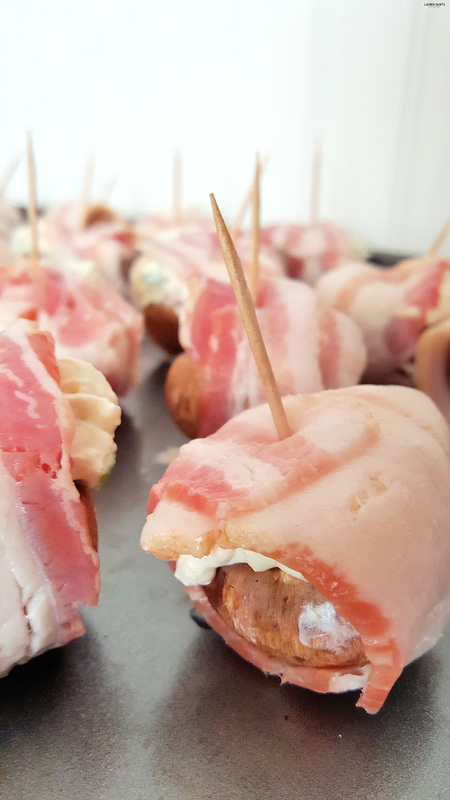 The prep for this recipe is SO easy. You'll begin by preheating the oven to 375 degrees. Then you'll heat the neufchatel until it's soft enough to stir, for me that takes about 20-30 seconds. 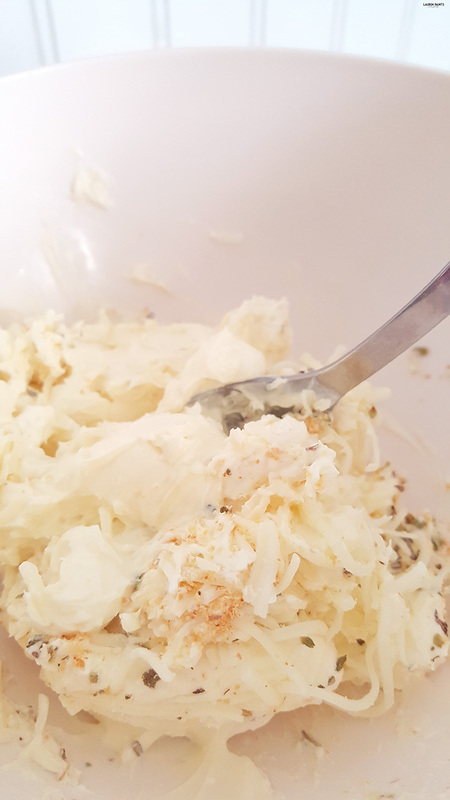 After that's completed, you'll mix in the spices, mozzarella cheese, and garlic. 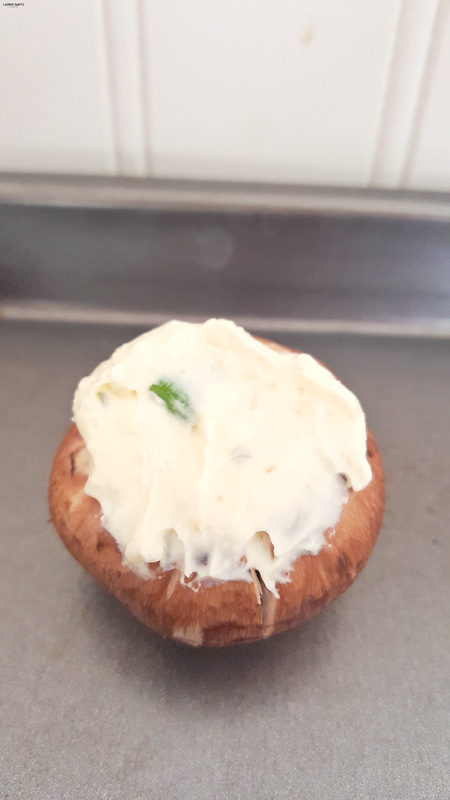 Once it's thoroughly combined, you'll want to place a heaping teaspoon of the cheese mixture into each mushroom cap. 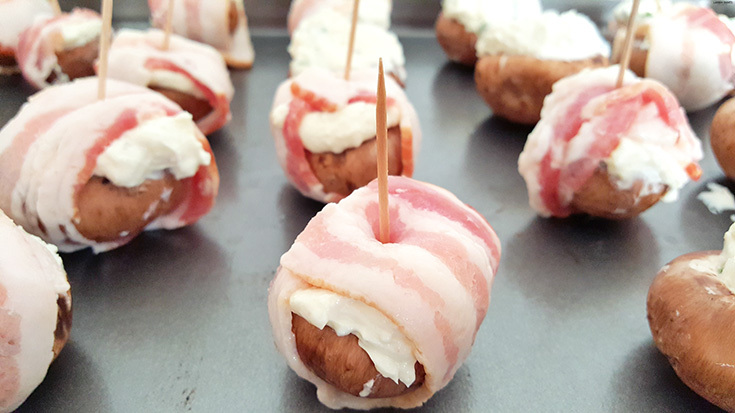 Next you'll want to wrap about a half of piece of bacon around each mushroom cap, depending on the size and secure the bacon with a toothpick down the center. 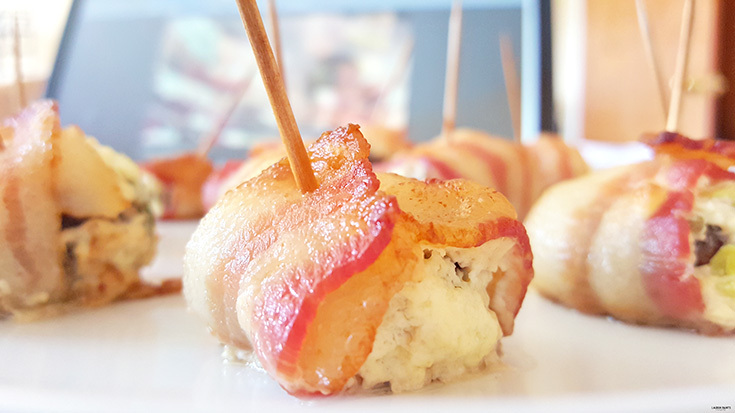 Bake for 15 minutes or until the cheese looks slightly browned and the bacon looks delicious! 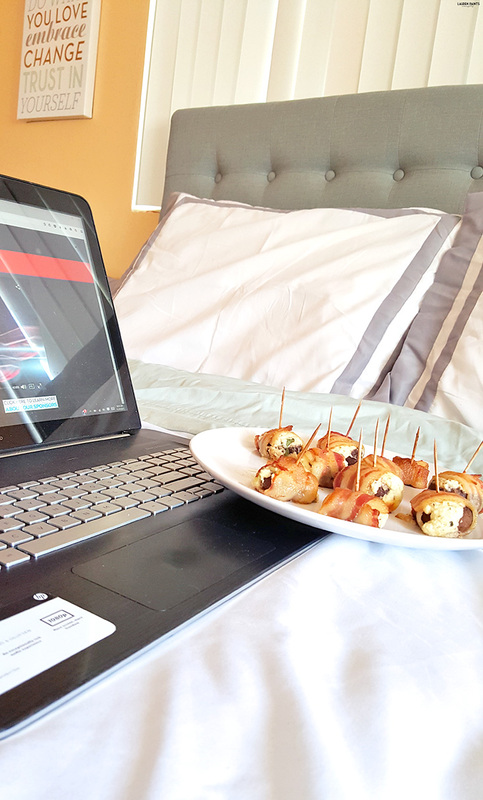 While the recipe bakes fairly quickly, I suggest you cozy up in bed with your laptop while you wait! 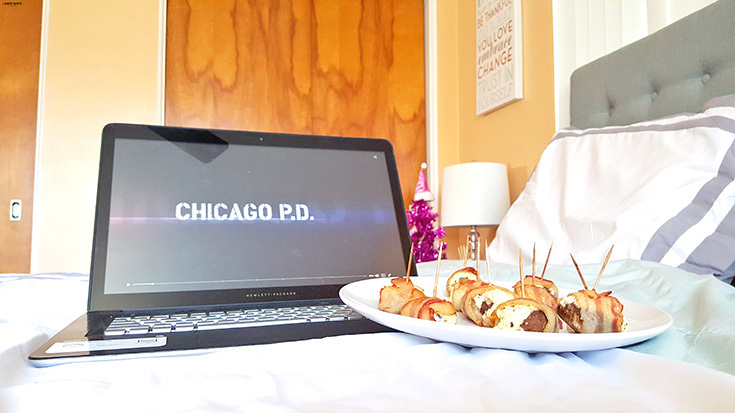 I also suggest you check out an episode of Chicago PD... it's so good and the story line will leave you wanting more and more - just like this recipe! 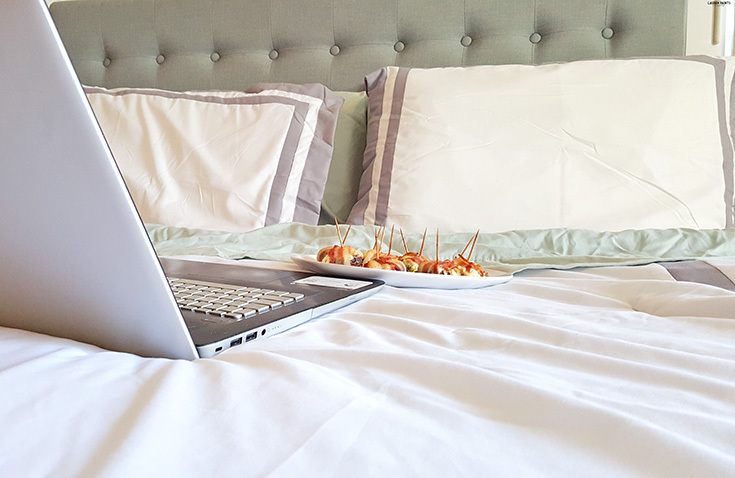 So tell me, out of all of the NBC TV Everywhere shows, which one will you binge watch first? Log in and watch now!